I do not usually post my sermons in my blog like this, but I was honestly fascinated by what I discovered in my research around the story of the Magi this year. 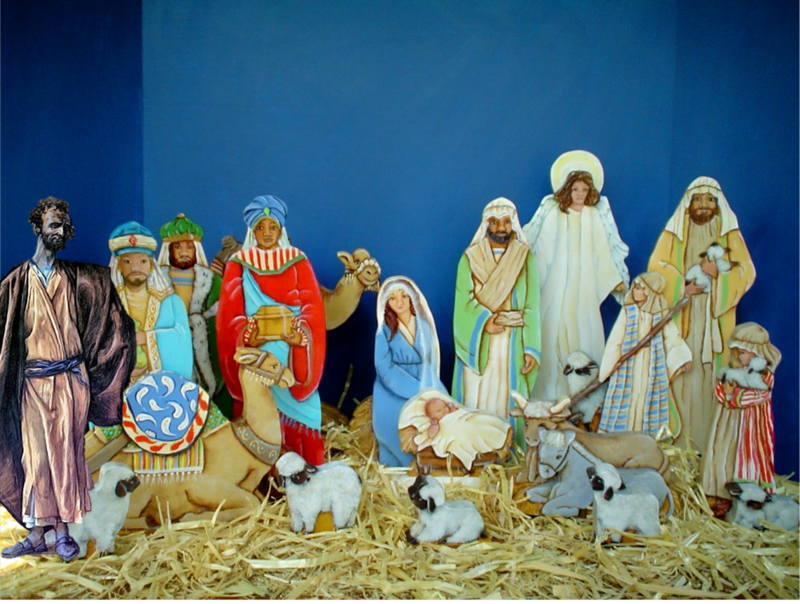 Did you know that there was another story about the journey of another set of Magi that Matthew might have had in his mind as he wrote his story about the birth of the Messiah? Thursday evenings from Thanksgiving to Easter, St. Andrew's Hespeler Presbyterian Church on Queen St. in Hespeler opens its doors to all who wish to come in for supper. The welcome is always warm and the food, provided free of charge, is always tasty and nutritious. The best thing about the Thursday Night Supper and Social, however, is the community that has formed over the years it has been offered. Both our guests and our volunteers look forward each week to the opportunity to meet and talk and catch up on what has been going on in each other's lives. There is plenty of mutual support and encouragement. Why, exactly, did Mary and Joseph set out on such a dangerous journey in such a dangerous time. This is one aspect of the story that has never made much historic sense. The story seems to be saying that the Romans decided to conduct a census in a way that makes no practical sense – that they required that the people be registered, not in the places where they lived, but rather in the places where their ancestors came from. That, when you think about it, is a very silly way to hold a census. The whole point of taking a census, if you’re a Roman, is to find out where people live so that you can find them and tax them later. That is why the Romans always took censuses in the way that they are still taken to this very day - making sure that people were registered where they actually lived. There is no evidence that they ever took a census in a way that Luke seems to be describing.